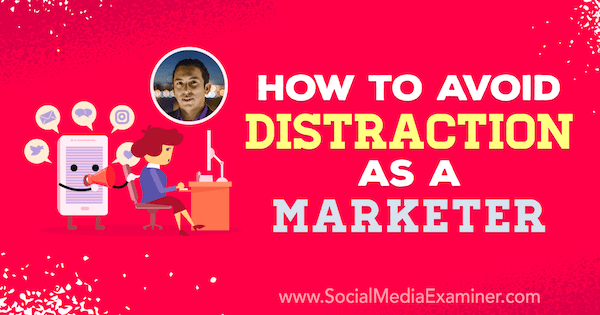 To explore how to avoid distraction as a marketer and as a human, I interview Brian Solis. Brian is a digital analyst and futurist at the Altimeter Group, and author of the book Engage! 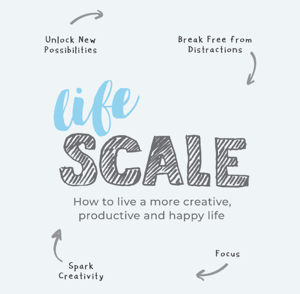 His latest book is Lifescale: How to Live a More Creative, Productive, and Happy Life. Learn how a digital lifestyle and social media lead to distraction, and discover resources and exercises to help refocus your attention on what matters. While Brian was attempting to write a book on innovation and how to make it a much more approachable phenomenon, he found himself writing and writing and writing—essentially spinning in a vicious cycle that wasn’t getting him any closer to where he needed to be. That experience, as well as having the opportunity to present at Social Media Marketing World 2018, prompted him to revisit his relationship with social media and technology. He started to explore the depths of why these things were so immersive. Eventually, he discovered that technology and social media were actually designed not just to be distracting, but addictive. When he googled what to do about the distraction and addiction, he was greeted with platitudes and inspirational quotes, plus suggestions to take up yoga, meditation, or mindfulness, or to download apps such as Calm and Headspace. These things could help with the symptoms of distraction, but didn’t help him solve the underlying problem. That’s why he began the research that became Lifescale. Consuming content online or posting about your best life and experiences—whether you’re a marketer or not—isn’t simply living a digital lifestyle. We become caught up in this constant cycle of sharing and consuming and liking and getting liked and following and being followed. This cycle becomes a way of life that takes up the time we would otherwise use to dive deeper into other projects because we’re constantly notified of updates or we’re thinking about whether we even have notifications or updates. As a marketer trying to reach an audience and attract their attention, you have to become increasingly aggressive, more ambitious, more entertaining, and more bombastic. When you do manage to get their attention, you only have it for a moment. What are you going to do to create some kind of metric that matters? As a consumer, how are you supposed to focus on a single brand or something of relevance when everything is vying for your attention on social media and your mobile device? This cycle creates an attention crisis that we have to think about more holistically. Being louder and more bombastic isn’t the answer. Brian and I both remember a time when there weren’t a lot of channels to distract us. There was one local newspaper and maybe a couple of radio stations. The media landscape wasn’t as distracting or as pervasive as it is now, and we had guides (parents, teachers, managers) who navigated the media landscape for us. Now, of course, there are unlimited options, and the mass adoption of smartphones and social media has led to media’s democratization. Brian used to joke that the good thing was that this gave us all a voice, and the bad thing was that this gave us all a voice. While the game has changed, Brian thinks the impact is relative because every generation learns in its own way how to manage multiple media. The challenge, though, is that we may not even realize that we’re distracted or recognize the consequences of that distraction: anxiety, low self-esteem, lack of confidence, loss of creative motivation or inspiration, and so on. When Brian was researching what was happening behind the scenes of social media, he discovered the work of Tristan Harris. Tristan was a designer for some big names, and he’s revealed a lot of tips and tricks used to keep people engaged with and coming back to apps and platforms. 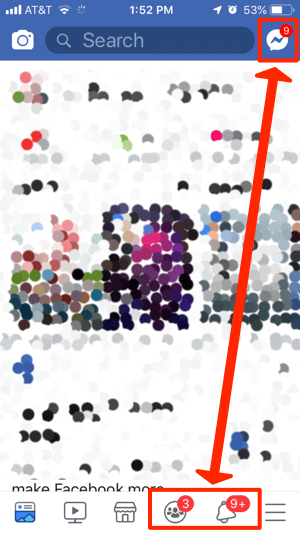 To illustrate, if you open any one of your apps, whether it’s Instagram or Twitter, you’ll notice a millisecond delay between when the app opens and when the number of notifications you’ve had since the last time you opened is updated. That delay is meant to build your anxiety or anticipation, so that you’re relieved when you see that there’s a number. And your brain wants more of the chemical that’s released when you’re relieved. The feeling that you need to post an update because you’ve built an audience or the validation you feel when someone likes or responds to your post also unlock chemicals your brain will crave more of. It’s called intermittent responsive design, and it’s intentional. It’s not unlike the type of strategies that go into designing slot machines, and it’s part of what makes it so difficult for people to step away. Quitting Facebook, for instance, is similar to quitting cigarettes or alcohol. Your body has become used to the chemicals released every time you use the platform. The more you participate, the more often you unlock those chemicals, and the more addictive it is. It becomes a vicious cycle and now some of the biggest leaders in the digital space—including Roger McNamee, one of Facebook’s earliest investors, and Salesforce founder Marc Benioff—are trying to get people to pay attention. Brian says a number of digital wellness practices and technologies are emerging because there’s some recognition that we’re giving too much of ourselves to our devices in some ways. There are detox camps or dinners where you have to check your device at the door—the whole premise being that you have to talk to people. Ironically, there are also apps that aim to focus you on the matter at hand or the moment you’re in. 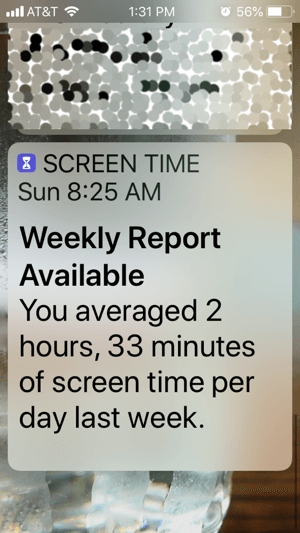 Android and Google and Apple have all introduced digital wellness platforms or dashboards on devices to help you understand how much time you’re spending on them and where you’re spending that time. Some people look at the time-spent metric as a badge of honor, rather than wondering how that time could be used toward something more productive or lucrative. Brian, however, considered that it doesn’t have to be an either/or proposition. These technologies can distract us, but they can also empower us to be productive and far more effective. Part of Brian’s research journey was focused on finding a way to make these things work for us instead of against us. He spent a lot of time trying to understand the psychology, emotions, and neuroplasticity associated with our brains rewiring when we use this tech, and to find ways to rewire again so we can each become more productive. The journey from distraction back to purposeful use of social media and technology begins with a personal and introspective process. Each of us has to determine, for ourselves, what’s valuable to us. What are we trying to do? Are we trying to live a best life based on what we see others living, or have we actually thought about our best life as something different and incredible? Are these tools (social media and technology) helping us get closer to that best life or are they taking us further away from it? We’re losing touch with ourselves because we’re pulled in so many directions every minute of the day. You basically need to execute a control-alt-delete to reimagine what your life should be in this era of distraction. Then you can rebuild everything using the tools, devices, and networks to work for you to get you where you need to be. To help you rebuild, Lifescale walks you through a series of exercises that build upon each other. They’re very easy at first and help you think about things in a different way. The idea is to find the things that engage you and be more intentional about putting more of that into your life. The more you do that, the more you build discipline and sharpen your focus. Without even knowing it, you get better and stronger and more creative over time. I share that when I sit in front of my computer, I have a sticky note in front of me that lists all of the things I need to get done that day. If it’s not a long list on that sticky note, then I’ll let everything distract me. I’ll check my email, social platforms, Messenger, and Instagram. I’ll do everything I can just to make sure all of that stuff is gone before I start what I really need to do. Brian recognizes that we all do that, and it’s part of the challenge. What we don’t recognize, though, is that as we’re checking social platforms and email, we’re confusing those items (distractions) for things that are important. Each day, we only have so much fuel that can go into whatever it is we have to accomplish, whether that’s writing or phone calls or teaching. When that creative fuel is exhausted, we don’t necessarily do our best work when we come out of distraction. Giving into distractions affects the output and the outcome. 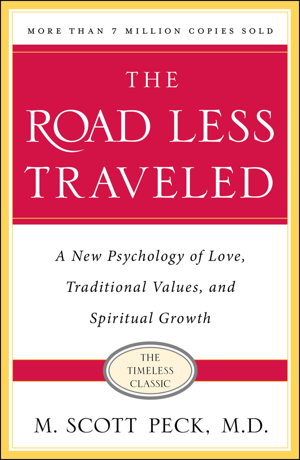 I recall reading The Road Less Traveled by Dr. M. Scott Peck—a book that talks about the concept of delayed gratification—and acknowledge that I hear Brian echoing a similar behavioral philosophy. When I’m putting time into social and email and other distractions, I’m seeking instant gratification instead of doing the work, which is going to be more gratifying for me later. Brian agrees and expands on this by explaining that this behavior builds up into an unnamed and unidentified blob of stress and anxiety within each of us. We feel gratified as we explore all of these distractions—but at the end of the day, we’ve been fooled into believing that the distractions were more important than they really are. This is why Brian uses creativity as his muse in the book. When you create and give something to yourself or to anyone around you, that’s a better moment for a community, conversation, or engagement. It shifts us from a consumption mentality to a creation mentality where we start to feel gratified as we go. There is this desire held by many of us to be famous. Maybe as kids we wanted to be like our favorite sports star, musician, actor, or radio personality. Social media gave us a little bit of that and all of a sudden told us that feeling was the most important thing. Brian has studied and written research on this topic since the late ’90s, and he believes this is also part of the distraction challenge. Whether we’re famous or micro-famous, we’re lured into being present online so we don’t disappoint or lose relevance among our followers. What’s more, when you get a taste of social attention, fame, or influence, you want more. You crave more. You start to push the boundaries of what you’ll do for it. 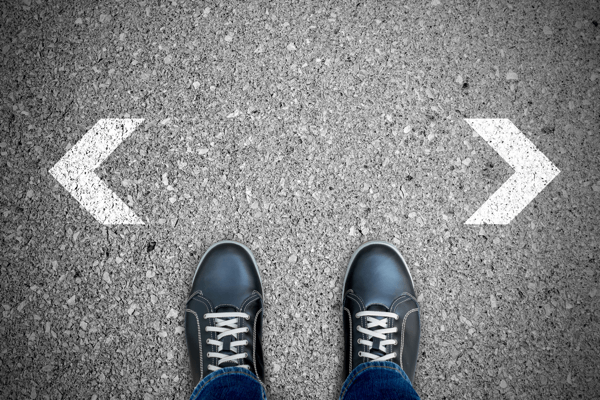 Before you know it, you’ve moved your center of reference so far away from what it used to be that you’re living a life that isn’t rooted in your core values, aspirations, beliefs, or conventions. Lifescale is a guide and instruction manual to help us deal with that instant micro-fame and online attention. He believes a lot of what’s happening today is the result of manipulation. We don’t see it as manipulation because we get instant gratification and it feels good—until it doesn’t. When it comes to business and engagement, the game of relevance matters. The question is, how do you go about gaining attention? If you’re manipulating attention through stunts and trends, that’s what your brand becomes. But if you’re a brand or a marketer that produces content that’s there when I need it—when I go through my research process or my discovery process—that wealth of information will guide me on a journey from where I was directly to you. It’s time to explore or reimagine the customer journey. Rather than marketing to or manipulating people, use the advanced technological platforms such as AI and machine learning to tailor and scale your messages to meet people where they are on their journeys. For example, people today go to their smartphones because it’s the device we always have on and with us. We go to mobile devices to make decisions about whatever it is that we need to buy or research. If 90% of those decisions start on the smartphone, 78% of us go with the company we feel is most useful in those moments. This is a big deal because it resets our idea of what brand value is. Consumers used to go into the journey with X amount of brands already in mind due to preexisting marketing. Now, people want to see immediately what’s best for them, what’s most useful for them. It’s a game-changer. 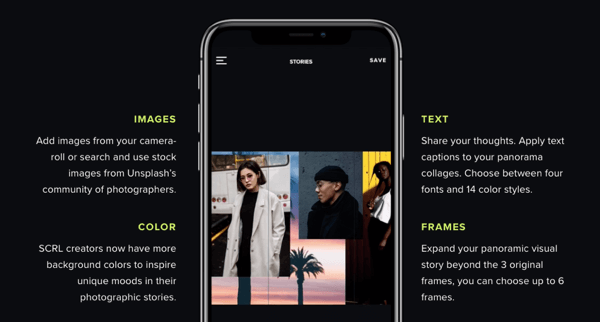 SCRL is a mobile app for Instagram that slices landscape images into easy-to-swipe segments so viewers can flip through them with ease. Users can also add in different photos, text, or backgrounds. This app directly retrieves photos from the phone’s camera roll, allowing you to drop them into a unique order. Video options are also available. SCRL is a free mobile app currently available for iOS. Listen to the show to learn more and let us know how SCRL works for you. Follow Brian on Facebook, Twitter, YouTube, and LinkedIn. Learn more about Brian on BrianSolis.com, and his work at Altimeter Group. 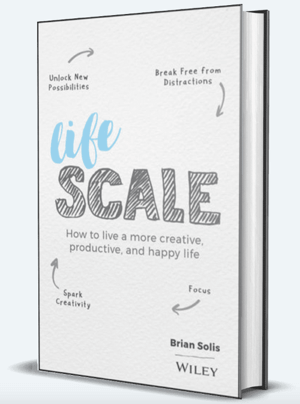 Read Lifescale: How to Live a More Creative, Productive, and Happy Life. 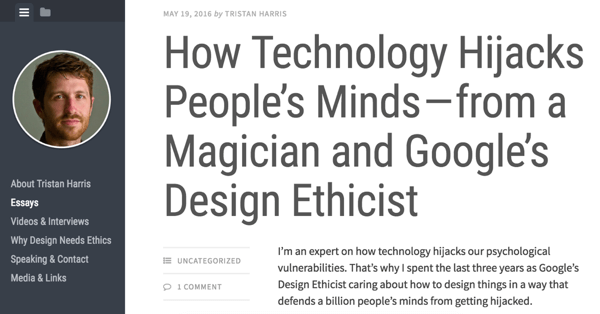 Read the work of Tristan Harris. Read Zucked: Waking Up to the Facebook Catastrophe by Roger McNamee. Discover more about Mark Benioff. Explore The Pomodoro Technique and check out the Pomodoro Timer. Read Brian’s blog post, Who Is the Me in Social Media? Learn more about the We Live in Public documentary. Try the SCRL app for Instagram. Learn more about virtual tickets for Social Media Marketing World 2019. What do you think? Do you struggle with distraction? Share your thoughts in the comments below.